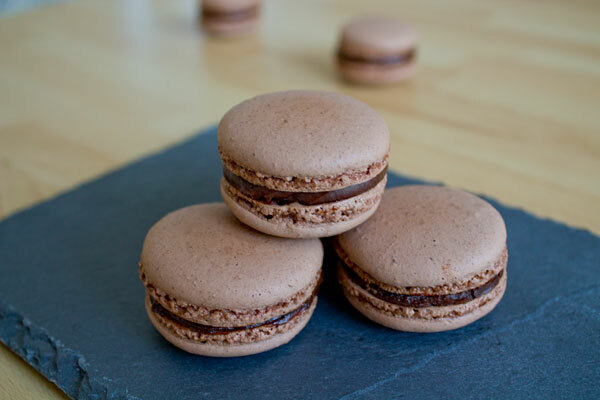 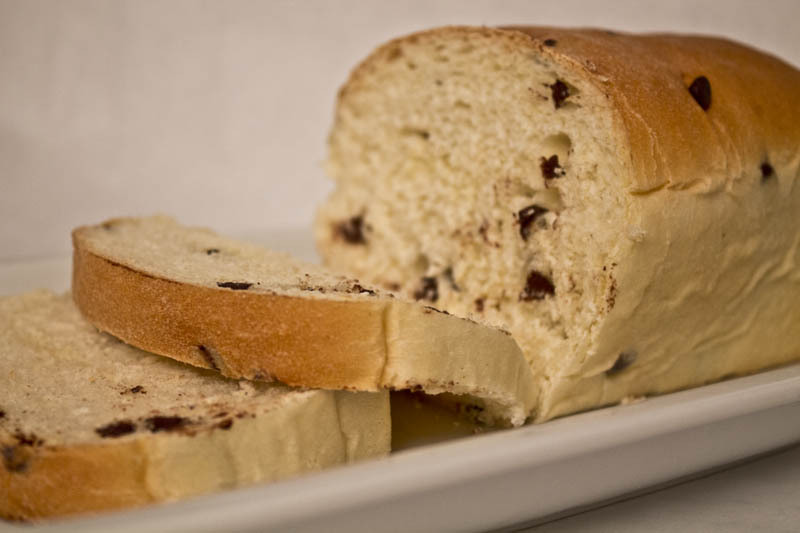 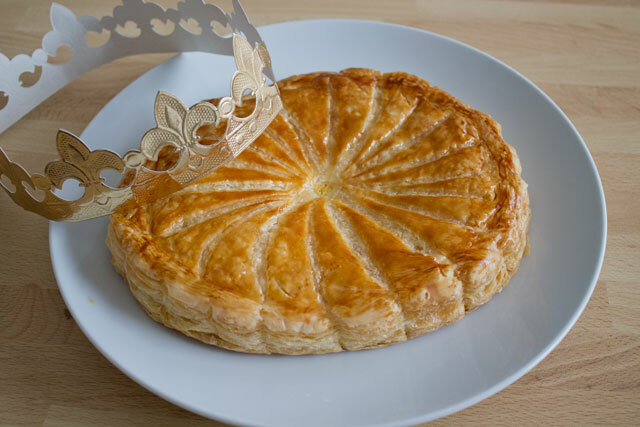 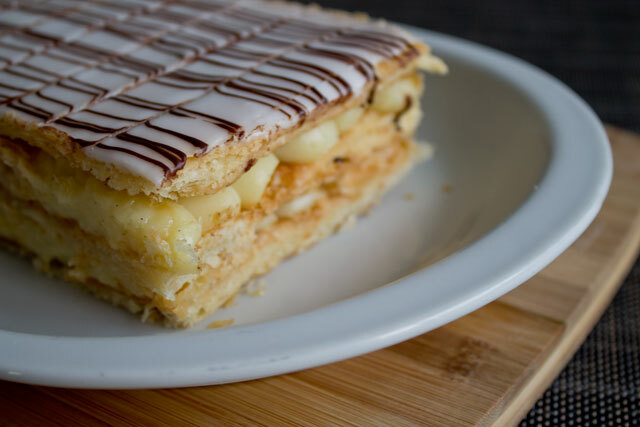 Milk bread is a recipe that is present in any pastry fundamentals book. 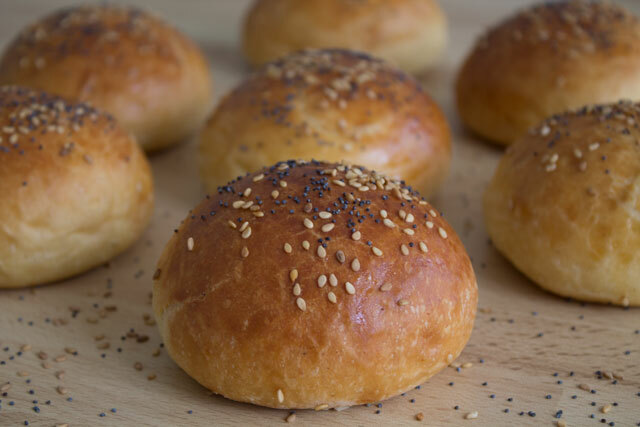 And I ignored it on purpose with a lack of interest for a long time… until I realized it was perfect to make amazing burger buns! 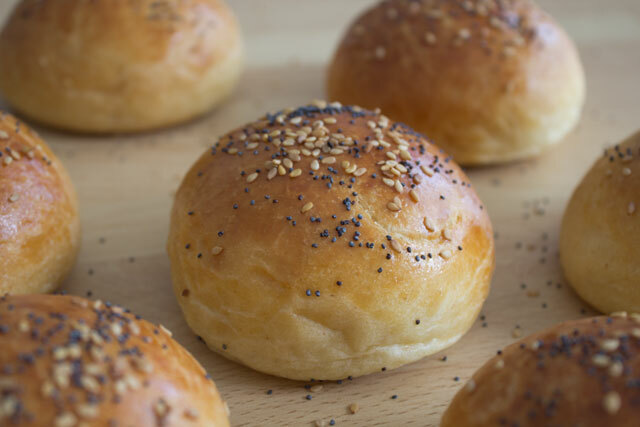 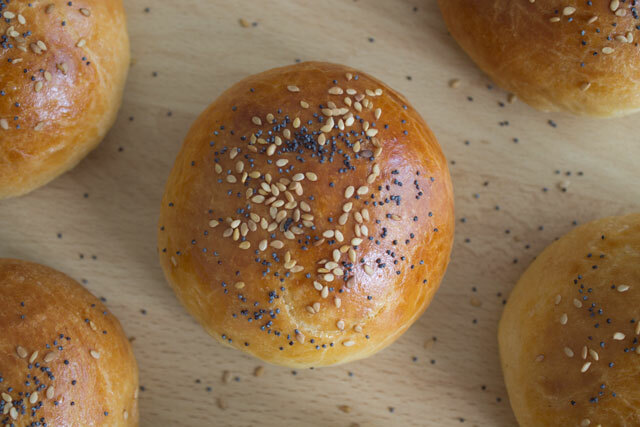 The burger buns you buy at the supermarket absolutely don’t stand a chance against these amazing breads, which can be filled with a hamburger but are also delicious by themselves! 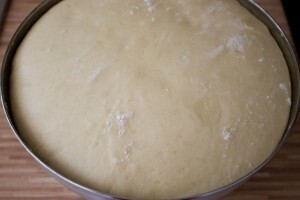 The day before, prepare the milk bread dough, letting it rise at room temperature and then store it in the fridge overnight as explained on this page. 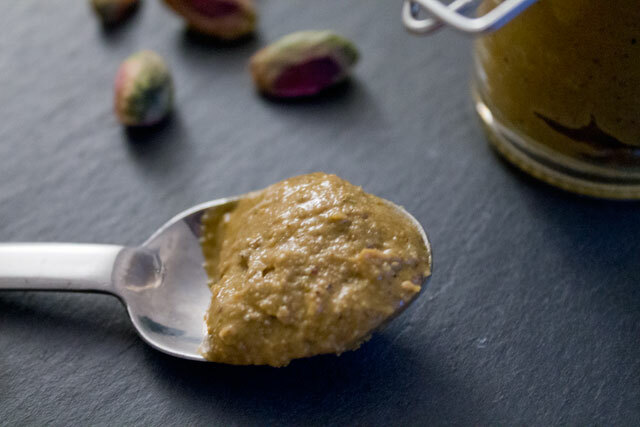 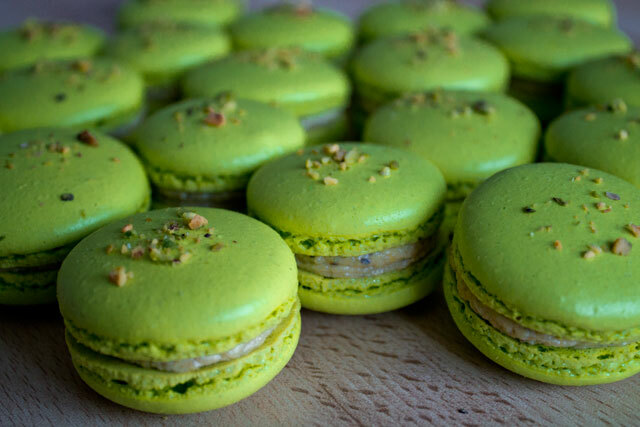 Optionally you can mix some of the seeds and pine nuts directly in the dough for additional flavour. 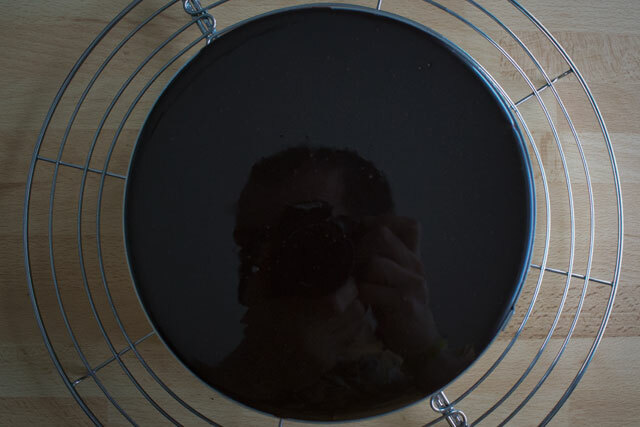 Take the dough out of the fridge, punch it quickly to let the air escape (no need to knead the dough again), then weigh it to cut pieces of dough of about 70-80 grams each (they should all have the same weight). 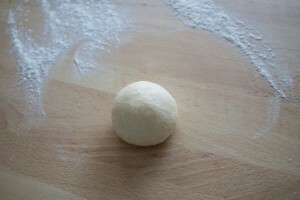 One by one, roll the pieces of dough into regular balls. 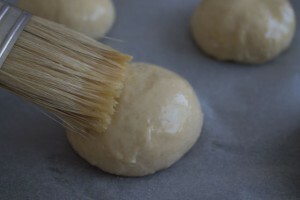 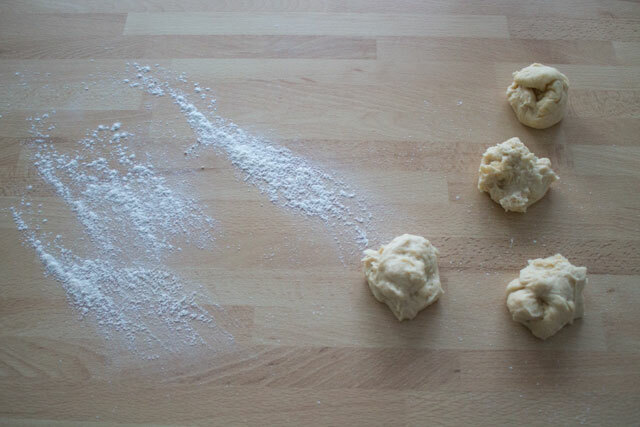 To do this, you need to give elasticity to the dough by rolling it and slightly pressing it against the work surface (lightly flour it if needed). 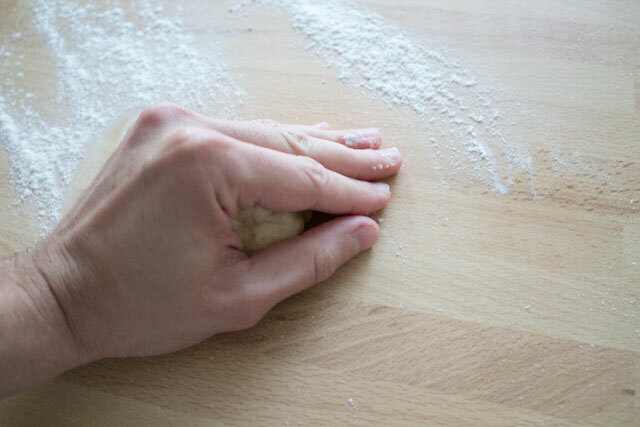 Keep your hand quite rigid in the same position as in the photo and perform a rotatory movement. 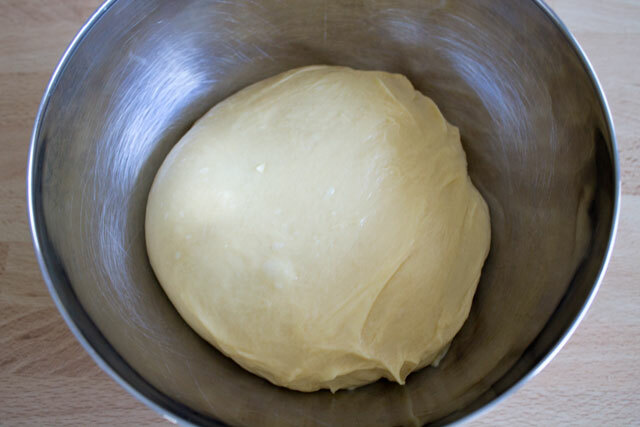 Beat the egg yolk and the egg together then brush the egg wash on each bun. 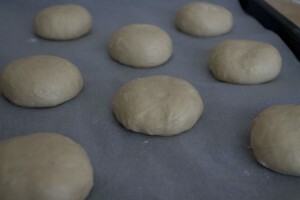 Let the dough proof for around 1h30min or until doubled in size (do not overproof). 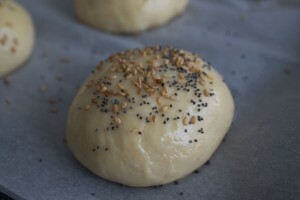 Then brush with egg wash again and sprinkle with sesame and poppy seeds.